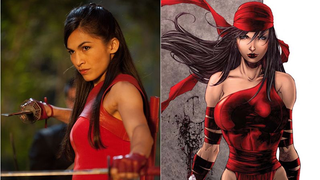 Elektra is Officially Coming to Daredevil Season 2! Netflix’s sophomore season of Daredevil is going to see Matt Murdock rubbing shoulders with more than a few comic book characters: We knew The Punisher was on his way but Marvel have now announced that Hand Assassin Elektra is coming to Hell’s Kitchen! Jon Bernthal Will Play The Punisher In Daredevil Season 2! Paired with Charlie as Matt Murdock, the two will bring one of the most beloved and tumultuous comic book relationships to life with all the accompanying sparks and spectacular action sequences the show is known for. Daredevil will return to Netflix next year.